O-rings O-rings are round rubber seals. O-rings are called O-rings because they have an O-shaped cross-section. They are also called O-rings. It began to appear in the middle of the 19th century when it was used as a sealing element for steam engine cylinders. Because of its low price, simple manufacture, reliable function, and simple installation requirements, the O-ring is the most common mechanical design for sealing. O-rings withstand pressures of several tens of megapascals (kilo-pounds). O-rings can be used in static applications, but also in dynamic applications where there is relative motion between components, such as shafts of rotary pumps and hydraulic cylinder pistons. 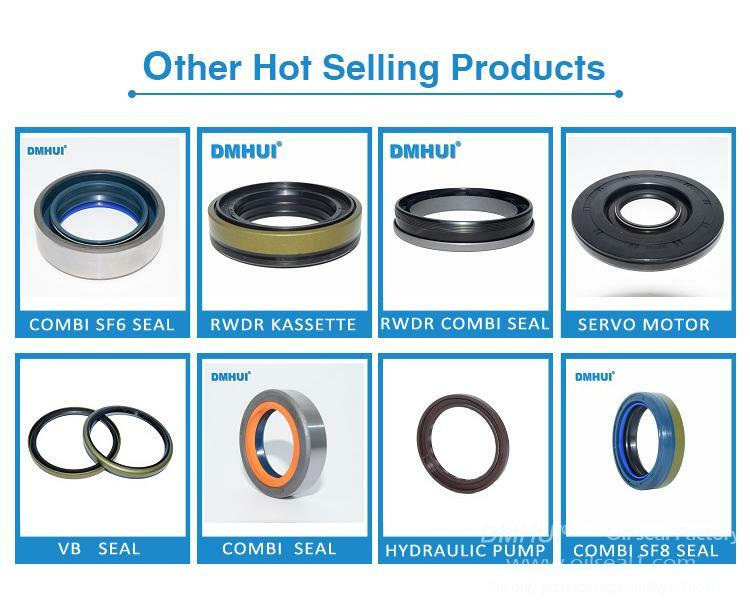 O-ring seals are suitable for mounting on various mechanical devices, and they function to seal under static or moving conditions in specified temperature, pressure, and different liquid and gas media. Machine tools, ships, automobiles, aerospace equipment, metallurgical machinery, chemical machinery, construction machinery, construction machinery, mining machinery, petroleum machinery, plastic machinery, agricultural machinery, and various types of instruments and meters are widely used in various types of seals. element. O-rings are mainly used for static sealing and reciprocating sealing. For rotary motion seals, it is limited to low-speed rotary seals. The O-ring is generally installed in a groove with a rectangular cross-section on the outer or inner circle to function as a seal. O-rings still play a good role in sealing, shock absorption in environments such as oil, acid and alkali, abrasion and chemical attack. Therefore, the O-ring is the most widely used seal in hydraulic and pneumatic transmission systems.